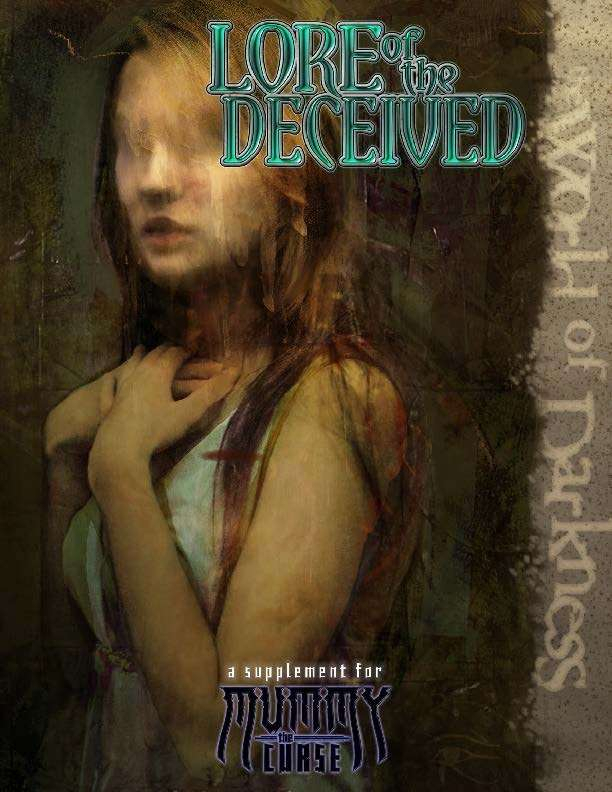 Lore of the Deceived is a free product that offers new content for Mummy: The Curse games. Although it is a follow-up and companion piece to Book of the Deceived, the official supplement on the Lost Guild, some of the material it offers can be used independent of that sourcebook. Rules for discerning a being's true name, and thus gaining a measure of occult power over that soul. Over 20 new seba (Deceived relics), including a sampling of four- and five-dot seba. A host of new Nomenclature powers, including new Affinities and Utterances. A four-page interactive character sheet tailored expressly to the Deceived (separate download). Come, scale the pyramid of names... and be deceived.